Running a business is about making some tough calls, and making the decision to move your office to another location is not an easy one, since practically the project requires you to shut down for a couple of days, while prep work and transportation of your office contents to your new address is completed. Prolonged business downtime and costly delays are to be avoided, and any business owner or office manager is quite aware of that, especially if the office removal has to be completed successfully on a tight budget. One way to make the whole process smoother and more manageable for your staff and your business altogether, is to use specialised office removals in Hadley Wood. And who better to provide you with such services than ourselves. We are a locally based and owned, office and commercial removals company, which specialises in all types of professional grade office removal solutions which cover both general and specific customer requirements in a risk-free, cost effective fashion. Our office removal services are fully comprehensive and cover all aspects of the office relocation from start to end. After all, the idea of using pro grade office removals is to have less to deal with, because qualified professionals have taken care of the rest – and that is exactly what we will do. Depending on the scale and complexity of your office moving requirements, we might suggest conducting a preliminary job viewing with one of our relocation specialists, who will walk you through each step of the process and explain why and how we do things. Please, be sure to inform our consultant of any additional requirements or concerns you may have, as the more we know the better service we can provide you with. As we provide fully comprehensive, end to end servicing, our qualified, professional movers will deal with packing, securing and loading of your office contents as we need to avoid damage or misplacement at all cost, and ensure timely, efficient transportation to your next destination. 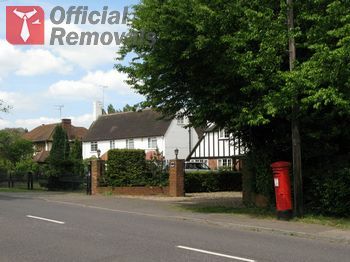 So put us to the test, and experience the best quality office removals in Hadley Wood.